The world has lost another great talent as news of the passing of British artist Ron Smith is announced. A very prolific artist during the 1970s and 80s, Smith was a brilliant and technical artist, whose fine lines a d attention to detail really stood out and made his artwork instantly recognisable. Ron, who was a spitfire pilot during World War Two, cut his teeth on boys own comic books after he was removed and worked on dozens of titles throughout his long career. Smith moved to Dundee and was employed by giants D.C Thompson and his unique work appeared in dozens of the companies titles over the years. 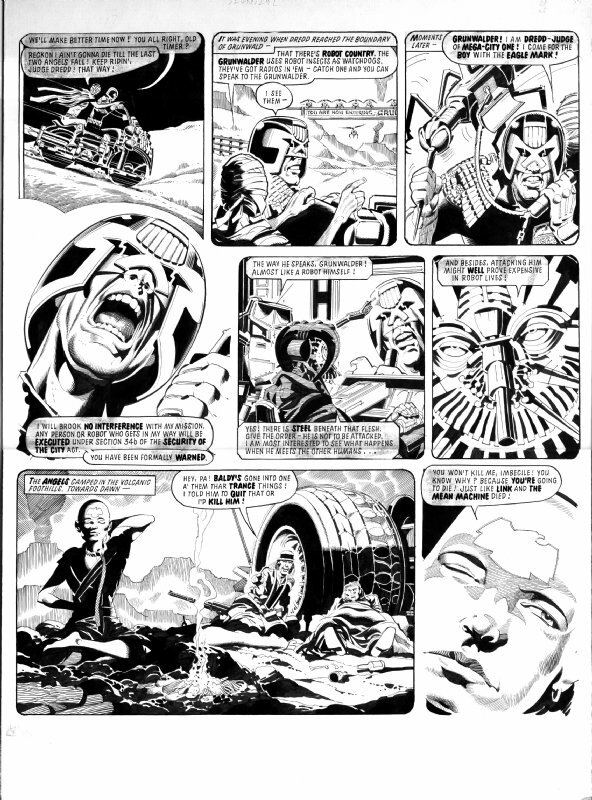 Perhaps more famous for his work on 2000AD, Smith perhaps contributed more strips than any other artists in the 1980s due to his long running strip in the Daily Star newspaper. 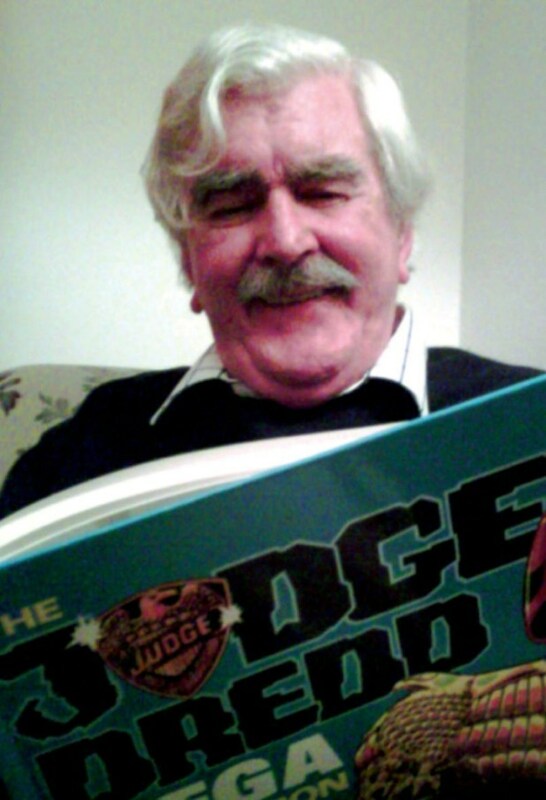 He was the co creator of my favourite comic book character of all time Marlon ‘Chopper’ Shakespeare along with Judge Dredd writer and creator John Wagner, as well as working on many titles and strips for the British comic giant. 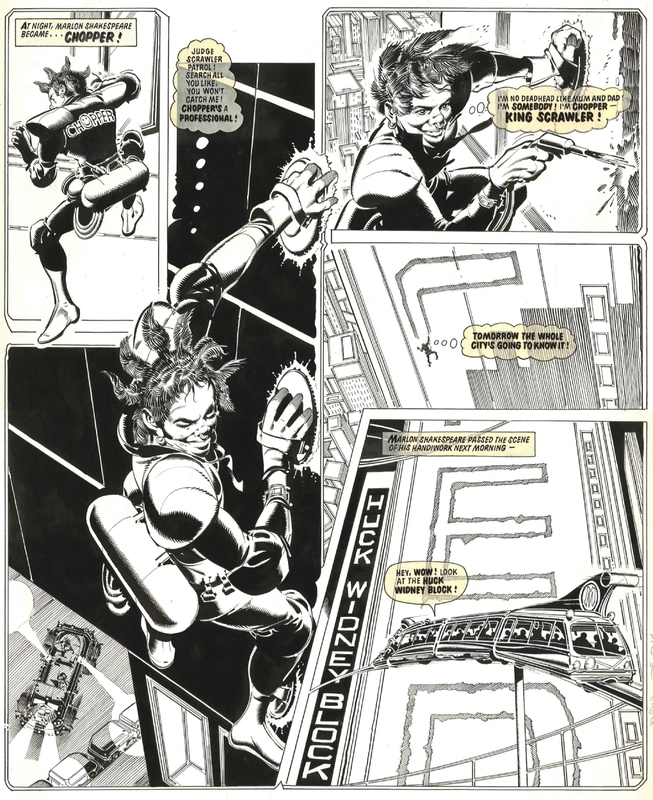 A fluid artist who is often compared to Brian Bolland due to his strong tones and great detail, Ron Smith leaves behind a huge legacy of fantastic artwork. For more information and history of Ron’s amazing work, please check out the three part article written by my dear friend and comic book aficionado Colin Noble at the link below.